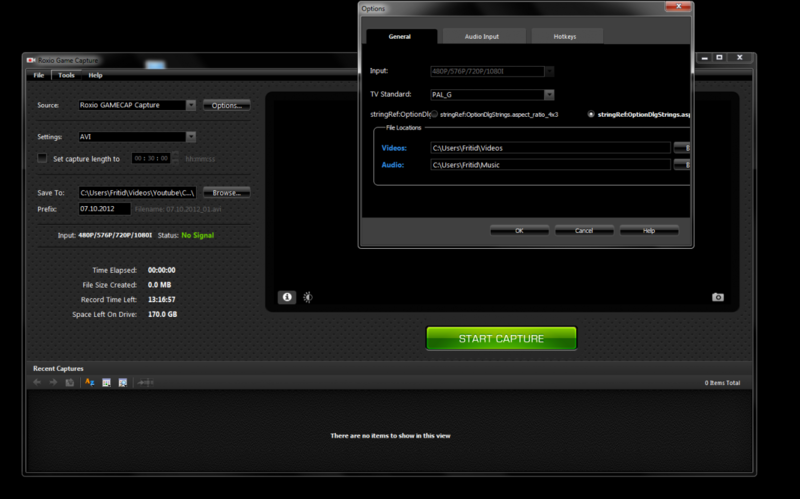 I bought the Roxio Game Capture so time ago and it worked for a couple of videos. But all of the sudden it came up with a green "No Signal". And after searching on google, I found no help. So I decided to make a forum post (which I'm doing now). As previously mentioned I get a green "No Signal" and a black screen in the recording area, and when I start the recording the program does not respond for a few seconds and then the display flickers with an unstable image and wont let me stop the recording. I have attatched a picture and hope it can help in resolving the problem. This is EXACTLY MY PROBLEM!!! 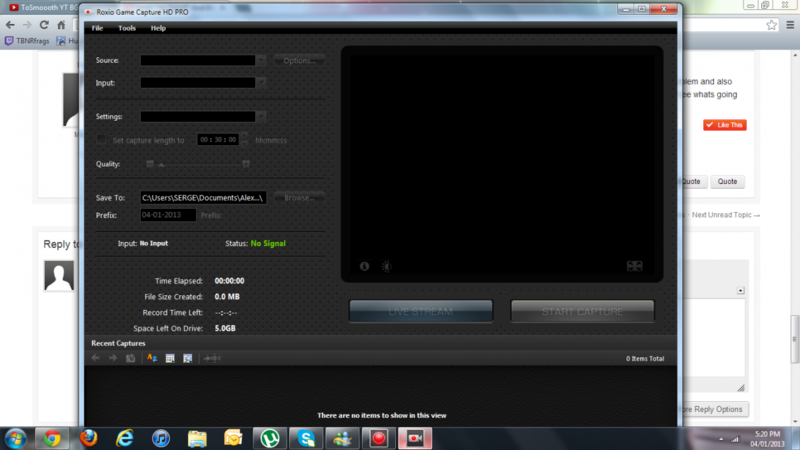 It is very frustrating..
same here black screen with green no signal. Your screen is not like LeanderCGC's screen. 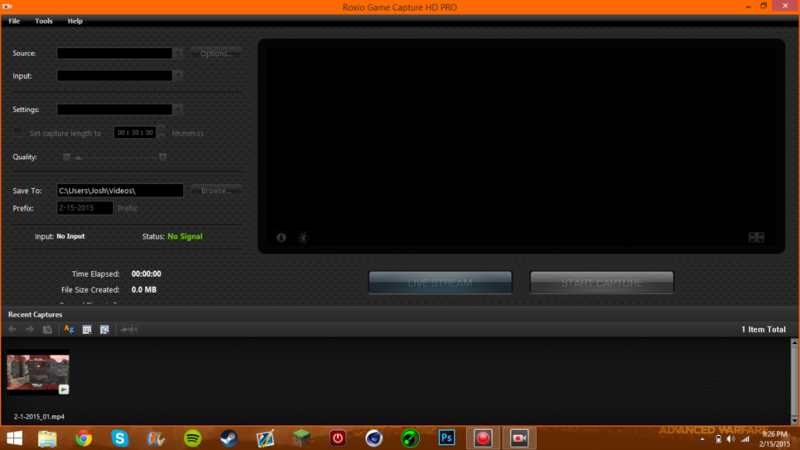 You don't even have the same Roxio Game Capture. And, you didn't mention what happened when you went through the steps in Post #6 of this thread. I have the hd pro. And i have the green no signal problem . So is there any solution or should i take it back because that is what i am thinking about doing. So hat is wrong? the roxio or the software? The post is over 2 years old and the Original poster is from As Norway... do you really thnk you have the exact same problem?? ?